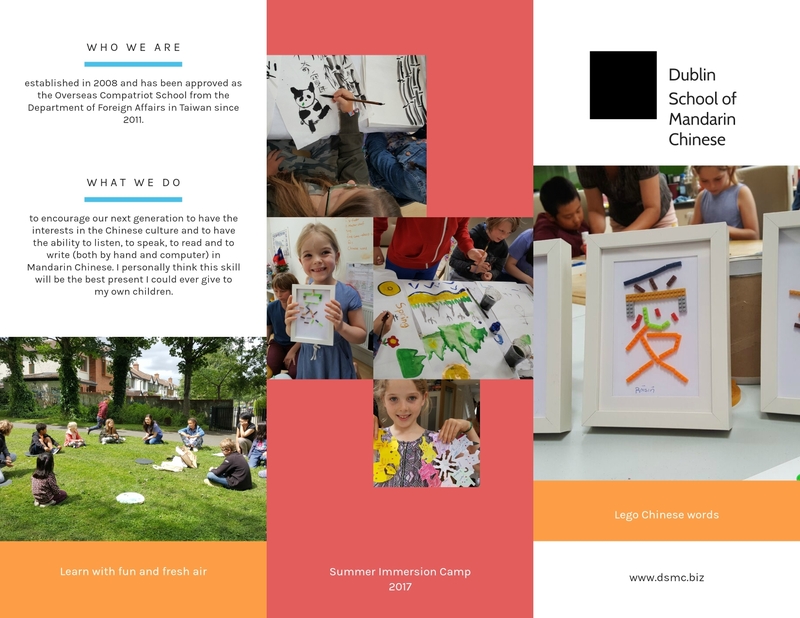 都柏林中文學校 Dublin School of Mandarin Chinese was founded in 2009 and has been approved as an Overseas Compatriot School by the Department of Foreign Affairs in Taiwan since 2011. Our school has carefully selected the best text books published by Sky Mandarin and approved by both of Dept of Education and the Overseas Community Affairs Council in Taiwan. The advantage of this series of books is that they include both of Traditional and Simplified Chinese characters as well as two phonetic systems - zhu yin and pinyin to help our young learners to master the language. I've always wished my children could learn both systems and these books turn my dream into reality! We also use Speak Mandarin in 1000 words, Speak Mandarin in 500 words, Happy Chinese, Hello HuaYu and Children's Chinese readers to cater for different ages/classes. Our aim is to encourage our next generation to develop an interest in language learning either is part of their heritage or as a second language. Our Methods of teaching are through creative activities such as puppet shows, play, songs, games, story, videos, cultural element and ICT in classroom to motivate and cultivate the ability to listen, to speak, to read and to type in Chinese. We want to make it as much child/student centred as possible because each child is different as is their learning style. Please click on herefor available classes in Sept 2018/19. Our trained native Taiwanese teachers are all garda vetted and available to deliver Mandarin Chinese language and culture classes to your schools/clubs as a core curriculum, extra curriculum, afterschool activity, junior cycle, short courses or transition year subject. Please contact us for further information and we would love to arrange a meeting to discuss syllabus with you. We offer places for Transition Year students who is either a heritage speaker or has been studied Mandarin Chinese in junior cycle.